Video from the “Open house at GAIA” event on June 2nd. 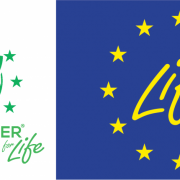 This video is produced with the contribution of the LIFE programme of the European Union. It reflects only the author’s view and the Agency/Commission is not responsible for any use that may be made of the information it contains. https://biodolomerforlife.se/wp-content/uploads/2017/08/zLTcp1Hm5wqcruYDhcvaZr6QT7s-1024x666-1.jpg 666 1024 Nils Andersson https://biodolomerforlife.se/wp-content/uploads/2017/02/Biodolomer-for-life_EU_green_white-with-life-300x126.png Nils Andersson2017-09-06 15:21:472017-09-11 14:22:59Video from the "Open house at GAIA" event on June 2nd. With Båstad Municipality being one of the principal partners for Biodolomer for Life, the project was included into the Municipality’s exhibition at the 2017 Swedish Open Tennis Tournament. Generally regarded as one of the most popular events on the ATP and WTA circus among both the players and the audience, the tournament’s exhibition hall proved to be an ideal place for introducing the Biodolomer for Life project to the public, as visitors were very interested in learning more about the project’s aim of developing a commercially viable circular economy, as well as the Biodolomer biomaterial and its applications. Project Staff from Biodolomer for Life have been on site to guide and answer questions. Visitors have been impressed with the scope and ambition of the project, especially with the goal to create a circular economy based on a sustainable mindset combined with sound commercial considerations, and have left with a better understanding of what separates biomaterials from plastics – and from each other – as well as an appreciation for what must be done. 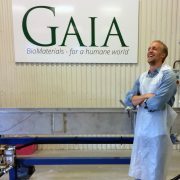 GAIA BioMaterials founder Åke Rosen was invited to present the insights gained from having participated in – and won – the public innovation procurement process for Region Skåne regarding aprons made from biomaterials. More than 20 Public Procurement Officials and Politicians attended the event. Mr. Rosén also presented the company’s revolutionary biodegradable biomaterial Biodolomer® and how it can help close the loop for the circular economy through the efforts undertaken within Biodolomer® for LIFE; a EU financed project within the LIFE program that is undertaken together with Båstads Kommun and NSR AB. 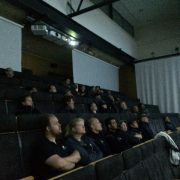 Film from Biodolomer for Life’s attendance at the Swedish Open Tennis Weeks in Båstad. Will Båstad Municipality become plastic free? “I told our Local Officials that we, as a coastal municipality have to make this happen” he is quoted saying by Helsingborgs Dagblad. Wendt made his statement, having visited a summit where environmental aspects in public purchasing was discussed. At the summit, GAIAs Åke Rosén presented the companys biomaterial Biodolomer and how it differed from other biomaterials in terms of biodegradability and other environmentally important aspects. https://biodolomerforlife.se/wp-content/uploads/2016/10/logo_bastad_138x100.png 100 139 Aline Leal de Camargo Olsson https://biodolomerforlife.se/wp-content/uploads/2017/02/Biodolomer-for-life_EU_green_white-with-life-300x126.png Aline Leal de Camargo Olsson2017-08-28 13:13:172017-11-27 12:25:17Will Båstad Municipality become plastic free? 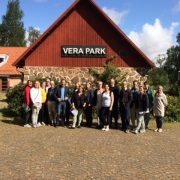 More than 2o Environment Officials from Lund and Helsingborg visited Vera Park in order to learn more about the work undertaken there. Martin Dyberg, Strategic Communicator at Vera Park held a presentation about Vera Park: concept, companies and projects within it, such as Biodolomer® for Life, the LIFE project jointly run by NSR, GAIA BioMaterials and the municipality of Båstad. 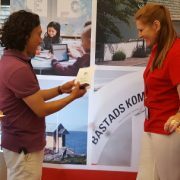 On July 20th Båstad Municipality hosted a seminar focusing on how public procurement can contribute to a fossil fuel and plastic free future by putting environmental requirements into their specifications. One of the questions discussed was whether the suppliers were ready to meet such requirements, which was answered with a resounding “Yes”, by Åke Rosén from GAIA BioMaterials, one of the partners of the “Biodolomer for Life” project together with Båstad Municipality and NSR. During his presentation, Åke Rosén showed that there already exist commercially viable alternatives to plastics – such as Gaia’s unique biomaterial Biodolomer, which is made from renewable resources and fully biodegradable – when you look at the whole picture, rather than just the purchase price. 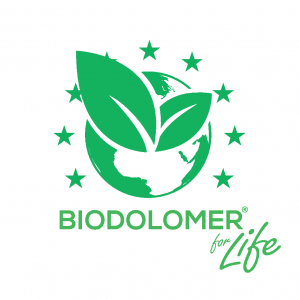 Using Biodolomer as the starting point, the Biodolomer for Life project is focused on finding ways for closing the circular economy loop, thus making each step in the circle interact with the ones before and after, to ensure the most efficient use of both natural resources and public funds. This makes for a whole new approach, not only in terms of public procurement, but also when it comes to cooperation between departments and external partners. 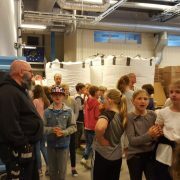 On Friday June 2nd, GAIA BioMaterials had the great pleasure of welcoming Lerbergsskolan (the Lerberg school) in Höganäs’ fourth graders, as part of their project to reduce the use of plastics in society. The visit took place in conjunction with GAIA’s – together with NSR and Båstad municipality – celebration of the 25th anniversary of the LIFE program, as part of their joint project “Biodolomer® for Life”. 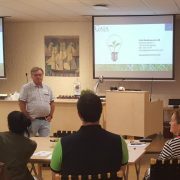 In addition to a tour of the plant and demonstration of the manufacturing process from raw material to finished product, via granules, the students, along with teachers and accompanying parents, were also given presentations about GAIA’s unique biomaterial Biodolomer®, replacing plastic in a wide variety of products thanks to Its biodegradability and compostability, as well as the LIFE program, “Biodolomer® for Life” and the circular economy. During the visit, the students of the Lerberg school impressed with their good knowledge of biomaterials and plastics, the harmful effects of the late nature in the circular economy and posed profound and clear questions to the organizers. HD-article: Klass 4A och 4B på Lerbergsskolan har engagerat sig för att det ska användas mindre plast i samhället. Vid ett studiebesök fick de mer kunskap om alternativen.